Opus is delighted to welcome choreographer Rosie Kay, Artistic Director of Rosie Kay Dance Company, in conversation with Fiona Allan, Chief Executive and Artistic Director of Birmingham Hippodrome. They will cover a wide range of topics including the creative process and the business of forming one’s own dance company. The Birmingham based RKDC tours at home and abroad. Brave and inventive, they create political and meaningful dance responding to contemporary society. Set up in the city in 2004, the multi award winning RKDC have carved a unique place in the dance world, with works created by Rosie. Audiences will know Rosie for her creation of the 2018 Commonwealth Games handover ceremony with live action dancers broadcast to over 1 billion people world wide. 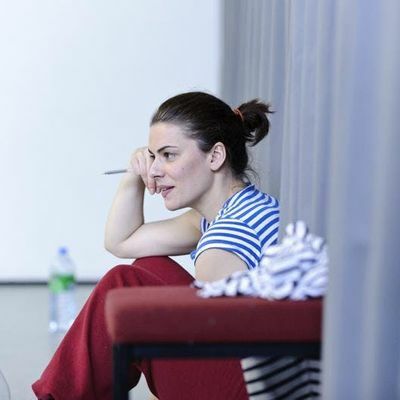 Her work is intelligent, often funny and meticulously researched; her dancers are some of the best in the UK right now. Renowned works include MK Ultra about conspiracy theory, CIA brainwashing, and pop stars and There is Hope about religion and the body. Under Fiona’s leadership, Birmingham Hippodrome has developed a huge range of programmes to nurture new audiences, provide free festivals to the region, and to help keep talented artists working here. One of these schemes is appointing Associate Companies, of which RKDC is one. Together they have delivered a number of projects, onstage and in outdoor locations around Birmingham. Their next project is the world premiere on May 21st (book here) of Rosie’s new work, 10 Soldiers, commissioned by the Hippodrome.